To understand more about what Porcfest is and why Bitcoiners should care, see part 0 of this series. Today marks the third official day of Porcfest, and already hundreds of people have showed up. In the nine Porcfests before this one, attendance has always trickled up slowly, with only a few people present on Monday and the event ramping up to full force on Friday and Saturday. This year, those who have attended previous Porcfests are saying that as many people have come to this Porcfest already as came to the previous one by Friday, and the number of attendees is expected to continue growing as the week continues to progress. Over 1100 people preregistered for the event by the online registration deadline of June 1, roughly as many as the number of people attending the Bitcoin conference in San Jose. Between the recent leaks regarding NSA wiretaps, the Free State Project breaking 14,000 participants and the continuing economic crisis in general, the Free State Project appears to be rapidly entering the mainstream. 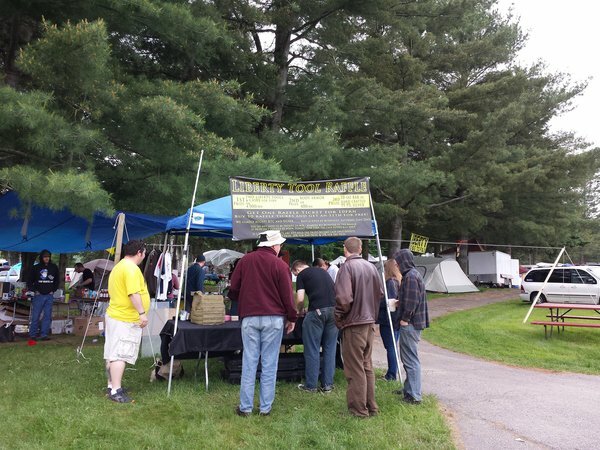 Last year, Bitcoin made a very strong appearance at Porcfest 2012, with what Josh Harvey described as 80% of merchants at the fest accepting it. This year, Bitcoin is taking on an even more central presence than before. Erik Voorhees’ SatoshiDice is the event’s largest sponsor, the main tent used for presentations is called the “BitTent”, and aside from the three presentations that are discussing Bitcoin (the first of which attracted a full tent of listeners today) many other speakers, like Jeff Bush, are actively promoting it as a key part of their larger philosophies of personal and economic liberty. And, last but not least, there is Agora Valley. Agora Valley is a marketplace located fairly close to the presentation tents where merchants are free to set up stores to sell food and merchandise. This is the main destination where Porcfest attendees can go to get food between the various presentations and events. Just like last year, a majority of merchants accept Bitcoin, although a few (including, unfortunately, two of the only three vegetarian/vegan-friendly restaurants) still do not. On the customer side, those merchants who do accept Bitcoin are reporting that between a quarter and a half of their sales are done with it. In this regard, Porcfest is a true Bitcoin event in a way that even the Bitcoin conference in San Jose was not; here, hundreds of largely non-technical, ordinary, people were actually using Bitcoin to buy and sell food and merchandise in real life, and learning along the way. In the campground in the forests of northern New Hampshire where this year’s PorcFest is taking place, the main impediment to Bitcoin usage is obvious: internet connectivity. The campground itself provides an internet hotspot for $15 for a week, but the only way to pay for it is by credit card; even buying in person with cash is not possible. And even that connection is shaky; Porcfest veterans report that last year by Wednesday there were so many people that the internet was barely usable, and this year the connection is somewhat better but not by much. To alleviate this, two Porcfest attendees have come up with solutions. 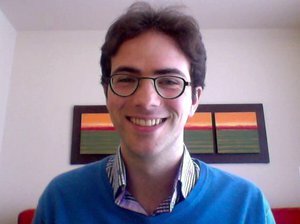 Lamassu‘s Matt Whitlock has set up a “Bitcoin-only wifi” hotspot which is free for anyone to connect to, but which only offers access to a few publicly known Bitcoin nodes and Electrum servers and blockchain.info. This internet is accessible throughout the entire campground, and nearly all Bitcoin users at Porcfest are relying on it to make and receive transactions. Another attendee has set up a paid internet hotspot of his own, offering access for the duration of Porcfest for 0.047 BTC or $6 USD. The other major impediment to Bitcoin usage – namely, obtaining bitcoins in the first palce, was solved by Lamassu’s Bitcoin ATM, with which anyone can trade cash for bitcoins at a 1% fee. Lamassu’s Matt Whitlock reports that the ATM has sold over $1600 worth of bitcoin at Porcfest so far. For those interested in using Bitcoin at farmer’s markets, a Bitcoin-only wifi hotspot seems like the perfect solution; between it and the Lamassu machine, the infrastructural problems with using Bitcoin at Porcfest are largely solved. But the event does show a larger problem with accepting Bitcoin in person: usability. Although Bitcoin does, in theory, allow a customer to pay a merchant in two seconds by simply scanning a QR code and hitting send, in practice there are very many technical glitches that can increase the time it takes to make a payment to over a minute. Sometimes some glitch on the merchant side, whether relating to internet connectivity or simple software lag, causes the merchant to spend an extra few seconds getting the QR code up for the customer to scan. On the customer’s side, sometimes the customer’s application takes a long time to load or send the transaction, and sometimes simply scanning the QR code takes ten seconds longer than usual. Finally, even after the customer scans the transaction it can take as long as fifteen seconds for the merchant to see it on their own device. Make the “Scan QR code” button when sending bitcoins four times larger. One should not have to spend a full second aiming with one’s finger and another two seconds making multiple attemps in order to successfully click it. In fact, all interface elements that need to be clicked on should be twice as large, filling up all available whitespace as much as possible. Once the destination address is entered, do not just move the cursor focus to the textbox showing the amount to pay; also, force the onscreen keyboard on touchscreen phones to open up. Currently, the user must often first touch the textbox with their finger before the onscreen keyboard appears. Readily offer the ability to set the amount to pay in USD or other local fiat currency rather than requiring the customer to determine the BTC value based on the current price themselves (at least in cases where the merchant is not generating all-inclusive QR codes containing both the destination address and the price. When spending a transaction output, return change in many pieces. This allows the user to later make many transactions one after the other without them being dependent on each other in a chain. In a restaurant, ideally the waiter should not awkwardly wait by the customer’s table while the customer tries to make a Bitcoin transaction. Instead, there should be a setup with which the waiter can leave a QR code printed on paper, or on a tablet, on the customer’s table and leave the customer to figure out any technical difficulties in the payment process by themselves. This is equivalent to the similar custom for credit cards. If (1) is not practical, a waiter should look not at their own payment application, but at the customer’s, to see if the payment has been made. Theoretically, a fraudulent customer could create a fake Bitcoin application to pretend to pay, but it is already very easy for dishonest customers to run away from a restaurant without paying, or paying a trivial amount in $1 or $5 bills that looks like a more substantial payment from afar, so this is not a substantial risk. Merchants should consider printing a large QR code on paper, and letting the customer scan it and then enter the payment amount manually. This allows the customer and the merchant to work in parallel, and is used successfully by many merchants at Porcfest as well as the Pao Cafe in Newmarket, New Hampshire. Printing a large QR code is especially important, as it makes scanning much easier. As merchants continue to experiment with various ways of accepting Bitcoin, the community will likely start to develop more and more precise versions of these rules all on its own. One idea that has been suggested is to make an explicit Bitcoin Fest, an event similar to Porcfest but specifically focused around Bitcoin, not libertarianism. This could happen in 2014 in lieu of, or together with, a more formal Bitcoin convention, or even in 2013 there are not yet any major Bitcoin-related events this year in August or December. Another option is the progressive approach: simply continue working hard on evangelizing Bitcoin and recruiting restaurants within one’s own local area. Set up a meetup group that will meet at a particular time and place every week, and invite anyone from the public to come, learn about Bitcoin and try out using it. Ideally, this would take place inside a Bitcoin-accepting restaurant, so new Bitcoin users could make their first transaction in the presence of a helpful community. Regardless of what direction we want to take, if we want to see Bitcoin truly break out into the real world, actually bringing Bitcoin into the real world and seeing it applied in practice is the only way that we could actually get there. To see the full-resolution versions of the pictures used here, and a few others, visit our album here.